Of all the criticisms that could be leveled at Kurt Sutter, overthinking a character’s backstory isn’t quite the first to come to mind. 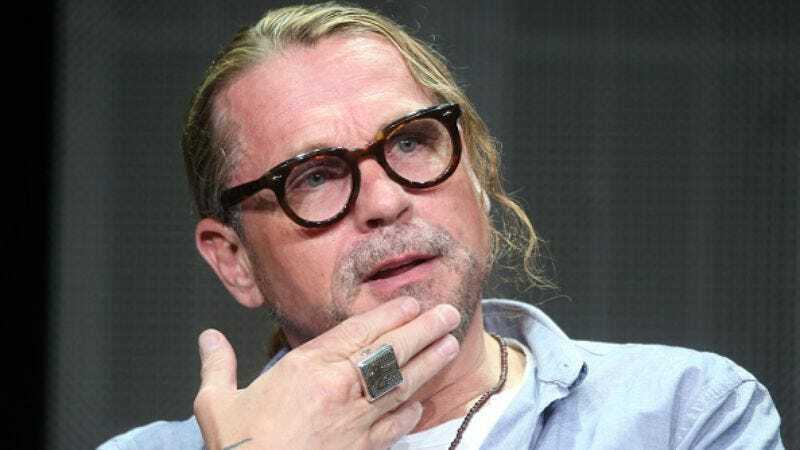 But the Sons Of Anarchy creator claims his efforts to delve into a violent vigilante’s motivations were what kept one of his visions off the big screen. In this Looper interview from the fall, Sutter says he was tapped to rewrite the script for the comic-book adaptation that would become Punisher: War Zone, but his ideas ended up being too far out there for Marvel Knights (the studio arm for the company’s “darker” fare) and producer Gale Ann Hurd (The Walking Dead). Although The Punisher’s backstory seemed a perfect fit for Sutter, the Southpaw scribe actually wanted to “[shake] up Marvel, man!” with a new treatment, but that line of thinking ran counter to what the studio wanted him to do. Sutter believes the producers wanted to stay very much within a comic-book character’s confines, and avoid taking “liberties with some of the characters and some of the traits, because they are what they are.” The writer-producer admits he was “naive” to think he could deviate from Marvel’s characterization. They’re very derivative, they’re stereotyped, but this is the guy that does this, and this is the guy who does this… So they’re two-dimensional for a reason: that’s the purpose they serve. So I was trying to expand the Marvel Universe in a direction it should not have been expanded in. As for what his new take on Frank Castle would have involved, Sutter says he tried to flesh out the motivations for his brand of street justice. He attempted to “write to the emotionality” of the character to “humanize him a little bit more,” but was thwarted by the aspirations of the studio: “You can’t really have a subplot that explores that kind of thing. Not in a summer blockbuster or Marvel picture.” Those efforts were all for naught, as Lexi Alexander’s 2008 film didn’t end up giving us any of those “humanizing” moments, which is why Sutter says he took his name off the script.